Hi! I am happily married with four beautiful children. My children ages range from 21, 19,17, & 13. Even though I became a parent at 16 years old, I did not let that stop me from obtaining an education. I have a BS in Social Work and a MS in Psychology. I created “Life Through Fancy Eyes” as a creative outlet to explore and develop life tools to help us see with our best(fancy) eyes. It is so easy to get caught up in the struggles that comes with living and we forget to view life with our best eyes. My aunt always say that there is a bright side in a situation, we just have to look for it. In order to do that, we have to give ourselves a break from what is going on. We have to give ourselves a chance to regroup. I’m 5’2 ½. My husband always laughs at me regarding the ½ because I always stress it lol. Yeah, I know I am a part of the short family. I am a pk (preacher’s kid). The pressure that society puts on us can be a bit much at time but we are face with some of the same issues as others. I am left-handed. My husband is also but none of our kids are. I love music. Some music can be so soothing to me. I am able to lose myself in the beat. I talked about it in this post, We are all conquerors. I love to watch my kids interact with each other. I love to see their personalities in action. I talk about it in these posts, Movie Time and Family Fun. I love netflixing with my husband . One of my favorite movies is Drop Dead Fred. My sister and I used to watch that movie so much. I am a sucker for romantic movies. I love romantic movies when the love connection is not obviously. There are some horror films’ fans in my house but I am scared of horror movies. If I attempt to watch one, I can not be alone and I have my hands over my eyes throughout the movie. Omg, I love pecan pie with a passion ha. I swear I was a ninja while growing up. I watched a lot of Kung foo movies in my childhood. When we were not outside making mud cakes and pies, my sister and I would be ninjas. I love wearing wigs for my protective styles. I do not like to style my own hair. Actually, I am just not that good at it but I have learned some ways to take care of my hair over the years. I wrote about it in this post, Hair regimen. Let’s stay connected. My latest obsession is Pinterest. Check out what I’m pinning. Way to go Momma!! Your story will be an inspiration to many! Sasha, you are so kind….Thanks so much for the encouragement!!!! What an amazing story written by a beautiful and phenomenal woman. You have a big heart. Your words speak volume and you’re an inspiration to many. Thank you for following my blog. I’m on the same page as you! I’m working on escaping my comfort zone and working on my health. Thanks so much!!! This means a lot to me!!! Thanks so much for stopping by and giving me words of encouragement!!! Best wishes to you! Hello! I have nominated you for the “Inspiring Bloggers” Award. Thank you for blogging! Keep it up! Aw that’s good to hear! Never give up! Hi there, I am not sure if you “do” blog awards or not… but I have nominated you for the Premio Dardos award. The rules are simple: all you need to do is nominate 15 blogs, nice and easy. Here is the link to the post: http://wp.me/p4Do1g-u4. I hope you will accept it, but if not… nevermind, I still like your blog and this is a token of my appreciation! After reading your page, – I congratulate you – This is so powerful story! Please follow this link for the necessary information. Happy blogging. Great bio, JcCee. I also have 4 children (22-9) and have worked in mental health 😀 I too am into become healthier and happier! Glad to meet you via Mihran’s reblog. You’re very welcome! I will check it out. Jc, we share a kindred heart! Thank you for stopping by to follow Hope For Today. I look forward to reading your blog. God bless you! 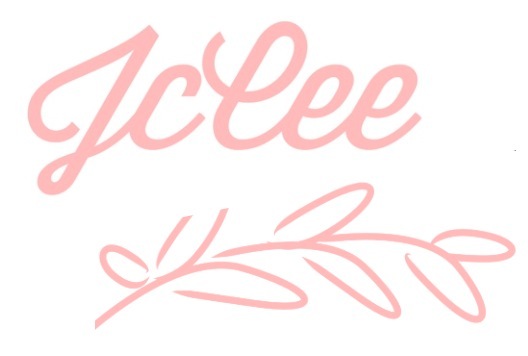 Hi JcCee! Thanks for the follow and I am now following you! What life you have led! I just read your latest blog about worry! Excellent ideas!! Hey JcCee. I just popped over from Austin’s Blog Pitch Party. You look like a super inspiring lady and I can’t wait to start seeing your posts pop up in my feed. Kudos to you for being an inspiration- to your kids and others! Looking forward to checking out more on your blog. Thanks for the follow! I love your blog! Lov your “About” ! I’m planning on being encouraged by your blog! Your introduction is awesome! When we strive to be the person God intended us to be we can’t fail… I look forward to reading your post! Glad to have come across.